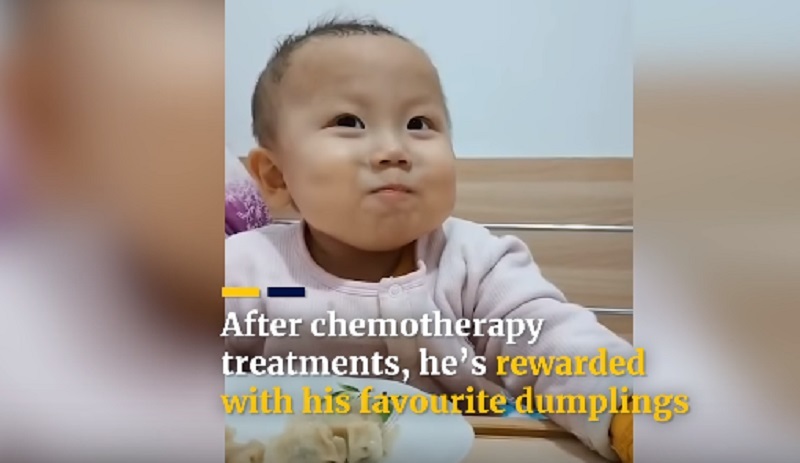 Haihai, the adorable toddler who went viral for his impressive use of chopsticks, has been revealed to be suffering from a deadly disease. 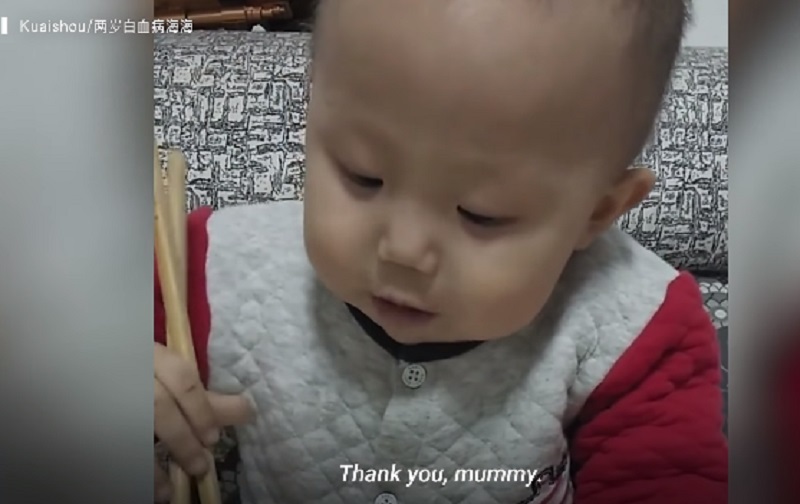 The 2-year-old boy from Hulunbuir in Inner Mongolia became an instant Internet star after videos of him skillfully using chopsticks while eating emerged on Chinese social media. In the viral clip, the tiny chopstick “pro” is shown consuming dumplings, noodles and pancakes with ease. Soon after his video started spreading online, it was revealed that Haihai was battling cancer. According to the South China Morning Post, Haihai was diagnosed with an aggressive form of leukemia back in January 2018. For his treatment, his family brought him to a hospital in Beijing where they have so far spent around 700,000 yuan ($104,275). Most of the hospital bill was paid for using money borrowed from friends and relatives. Haihai’s family is also facing deep sorrow for not being able to treat the baby’s grandmother, who is also suffering from breast cancer. It was reported that the grandma decided to sacrifice her own medical treatment to save Haihai since they cannot afford both. When their unpaid debt started to cause a strain on relations with some loved ones and friends, Haihai’s parents decided to turn to netizens for help. Haihai’s family uploaded the first video of his chopsticks skills on the Chinese social media platform Kuaishou on Jan. 5. On the account, the parents noted his heartbreaking battle with leukemia. “He always behaves when he has to have his blood drawn or have an injection, but he can’t help but be scared during lumbar punctures (a procedure in which a needle is inserted into the lower spine),” his mother was quoted as saying. So far, Haihai has undergone over 30 lumbar punctures. “The needles that pierce his little body also pierce my heart. The pain I feel is incomparable,” the mother said. According to Haihai’s mother, netizens have since showered the family with supportive words and kind gestures.